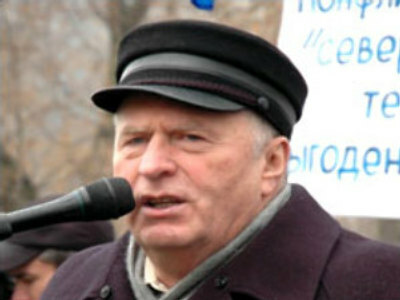 Arguably the most charismatic and provocative of Russian parliamentarians, Vladimir Zhirinovsky is one of the veterans of Russian politics. His Liberal Democratic Party was the first opposition party to be registered in the Soviet Union. Vocal in his anti-Western views and extravagant in his manner, Zhirinovsky is now bidding for the highest post in the country for the fourth time in his life. Opponents accuse him of being a populist and conformist, who opposes the Government’s policies in word only. Vladimir Zhirinovsky will be a guest on RT’s Spotlight programme. You can submit your questions to him via our feedback form.